My altered calendar project has proceeded to April. 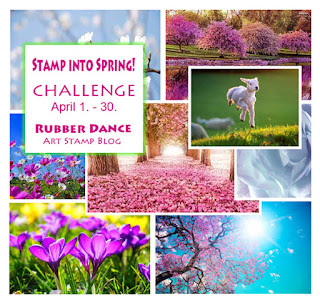 I am linking to the Craft Stamper Take-it-Make-it challenge (Spring flowers) and the Rubber Dance April challenge that is using a colourful moodboard for inspiration this time. I started by gessoing the page white and adhering large flowers cut from a brochure. 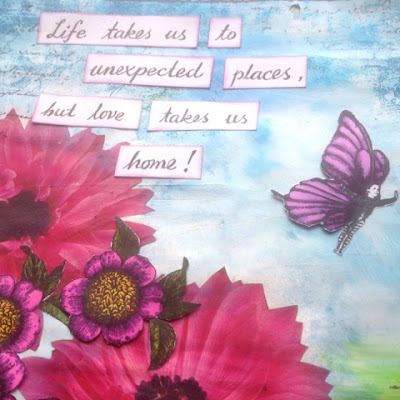 I covered the flowers with clear gesso and sprayed the background. 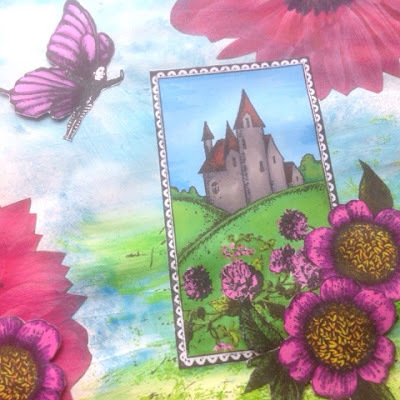 All the images have been coloured with alcohol markers (New Rubber Dance stamps: Clover Castle and flying girl from Fly Mail and a flower from Antique Botanicals). The sentiment has been written by hand on scrap paper. 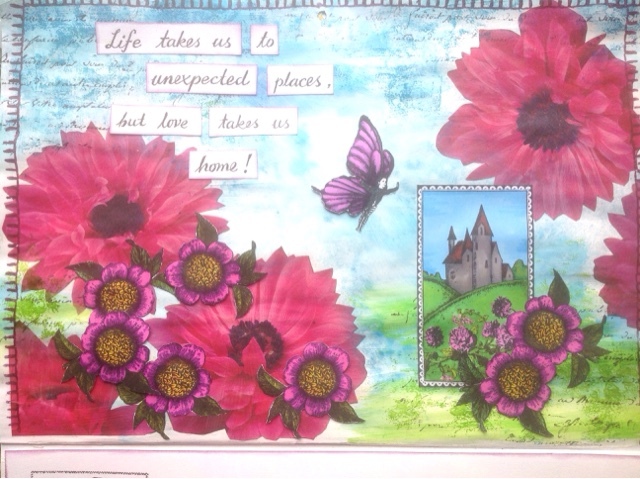 I finished the page with some stich stamps around the edge. Lots of fussy cutting with the girl and the flowers! Part of them are mounted on low foam tape for a more dimensional effect. Here is a larger picture with part of the calendar grid showing. 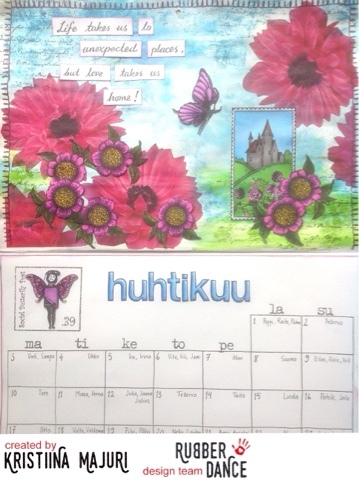 I've drawn it by hand and added names on all the days (in Finnish tradition we do celebrate name days :) The large letters are from Alphabet Uno and the butterfly girl from the same Fly Mail set as before, this time with the postage stamp showing. Also these have been coloured with alcohol markers. 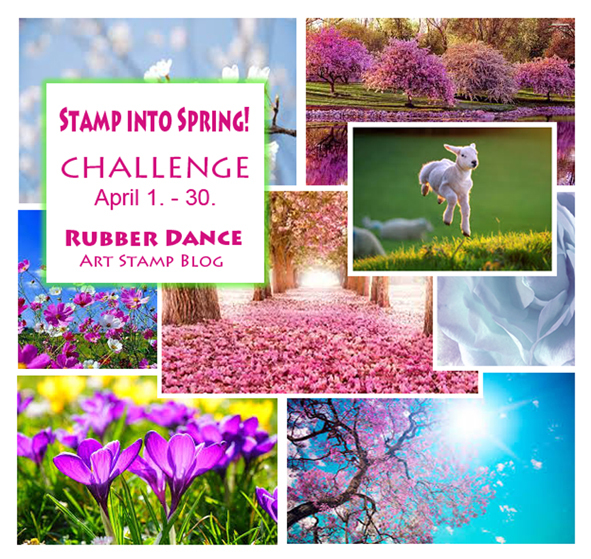 If you go shopping at the Rubber Dance web shop, remember to use the code kristiina2016 for a 15% discount on your stamps! This is gorgeous. So colorful! You are my favorite calender designer, Kristiina ;-) April is beautiful ♥ I think it's wonderful that you celebrate Name Day in Finland. in Norway it is not so common, and that's a shame. Wish you a inspirational and happy day!